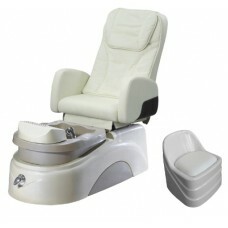 SPA pedicure chair LME-4 NATURAL SPA (ZD-925), buy at the price of 2180 . Packing dimensions - 147 90 93 cm. Never until today, the luxury and high technology were intertwined together so much. Welcome to the world of the newest spa technologies! SPA pedicure chair LME-4 is an unique chair for pedicure, helping you achieve the highest quality of work in accordance with all the sanitary standards, designed to meet needs of the most demanding professionals. The chair comes with a comfortable chair for a beautician. Packing dimensions 147 90 93 cm.